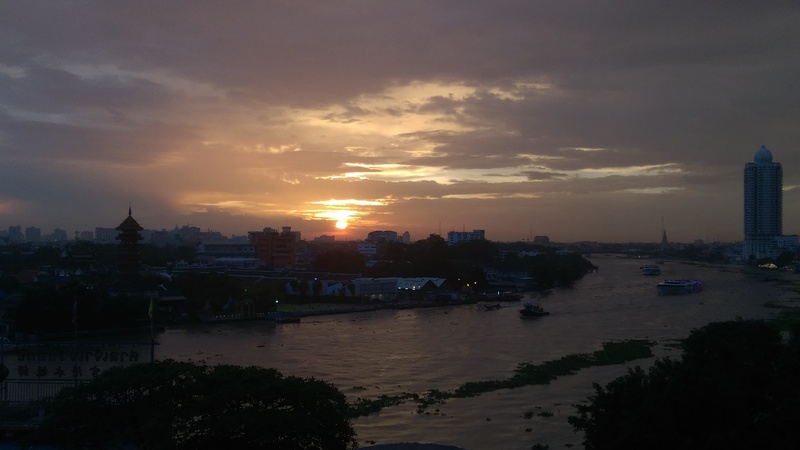 This 4 hours late afternoon Bangkok walking tour is designed for travellers who want to explore the mixed culture of Thai and Chinese in Talad Noi where many hidden gems are located. 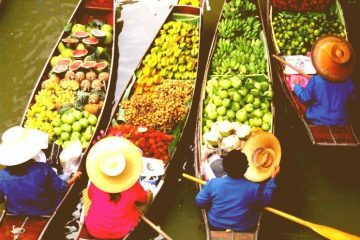 Our Bangkok walking tour starts in the mid afternoon by taking a public ferry to Klong San Market. Here you will get to try some local snacks testing local flavors.Along the way you walk, your guide will show you hidden historic attractions from the late 17th and 18th century that were influenced by the European architecture and take you to a rooftop restaurant for sunset watching break. 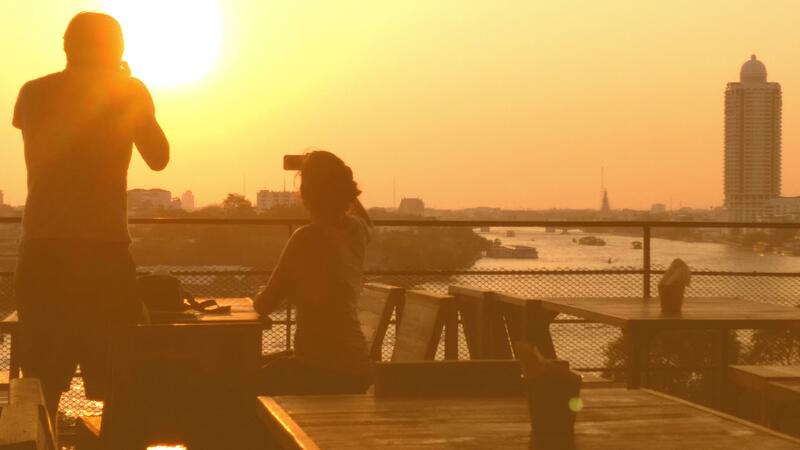 There you just sit back zipping a refreshment and watch sunset over the Chao Phraya River at one of the best location in Bangkok. After the sunset break, you will be heading to the main street of Yaowarat, the bustling Bangkok’s Chinatown in search of Bangkok’s best street food. On this Bangkok walking tour, there are 5 street food stops that await you. You will be fully fed before going back to your hotel. These dishes are non-vegetarian by the way and we apologize for those vegetarian lovers. After our mission of feeding you with the best street food in town accomplish, it is the time to say goodbye. In Yaowarat, there are many public transportation available. No need for you to be worried about getting a taxi or Tuk Tuk back to your hotel or anywhere you would like to visit thereafter. If you need assistance with getting a taxi, don’t worry our friendly guide will be happy to help you with that. Be an explorer on your vacation with our Bangkok walking tour of “Chinatown Sunset Walk and Food Tour.” The Bangkok walking tour experience for those who are UNIQUE. The experience starts in the late afternoon since the main highlight is to watch sunset and explore Chinatown street food. This time of the day is when most travellers are already tired after a long day travelling. To add this memorable experience to your itinerary, the followings are our recommendations. Relax at your hotel by swimming pool! Well! 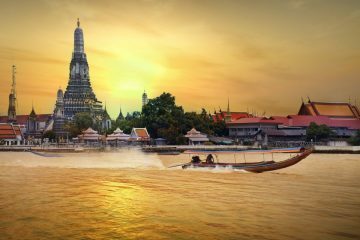 These are some ideas that would help you combining this experience into your travel plan in Bangkok which will help you make the most out of your visit. 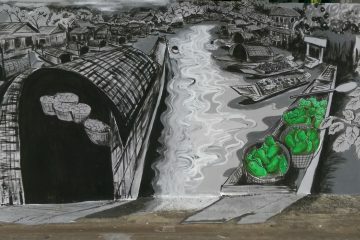 Saphan Taksin BTS Station. Exit 2.